T-Mobile had already staked out the date of June 18th for its next UNcarrier announcement, and had originally planned for the event to take place in Los Angeles. But, not too long afterwards, Amazon announced that it would be holding an event the same day, but in Seattle. The reigning presumption is that Amazon is planning to announce a smartphone. We heard a lot of journalists were planning to cover one or both events remotely, or send people to two places on the 18th. What a pain! And, you know, we do love to eliminate pain points. 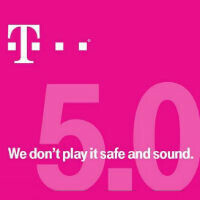 So, in true Un-carrier fashion, we are eliminating this pain point by moving Un-carrier 5.0 to Seattle on June 18th. Whether or not that is completely true, we can't say. There is a small chance that the two events are connected, given that it is assumed Amazon will be announcing a smartphone. But, it is more likely that T-Mobile didn't expect that it could compete for media attention when pitted against Amazon's first smartphone announcement, and so decided to move the event in order to make it easier. If it is the latter reasoning, it has worked well, because we will be there to bring you the T-Mobile announcement information as it happens. Amazons smartphone gonna launch on T-Mobile same day. That would be a lot better than Softbank. Hey Michael did you realize that T-Mobiles corporate headquarters is 15 minutes outside downtown Seattle? Seattle is T-Mobiles hometown too. Technically they're in Bellevue but Bellevue is across the water just like Oakland is across from San Francisco.